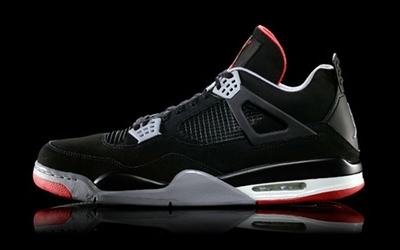 Aside from the Air Jordan 11, another retro shoe has been confirmed for release this year on a “Bred” edition. Jordan Brand recently confirmed reports that the Air Jordan 4 “Bred” will also be hitting the market this year along with the Air Jordan 11 “Bred”. Both shoes are scheduled for release later this year, with the Air Jordan 4 coming out probably around Thanksgiving, while the other one before the Christmas season. Both of these shoes are impressive so keep an eye on it!